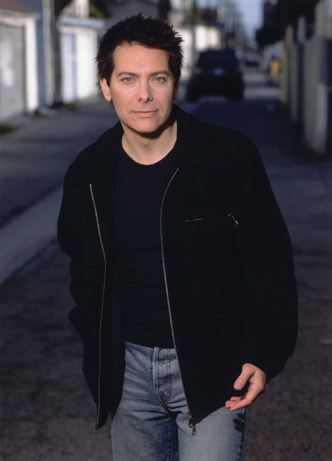 Michael Feinstein (born September 7, 1956) is an American singer, a pianist, music revivalist, and an interpreter of, and anthropologist and archivist for, the repertoire known as the Great American Songbook. In 1988 he won a Drama Desk Special Award for celebrating American musical theatre songs. Feinstein was born to Edward Feinstein, a former singer and sales executive for the Sara Lee Corporation, and mother Maizie, a semi-professional tap dancer, in Columbus, Ohio. At the age of five, he studied piano for a couple of months until his teacher became angered that he wasn’t reading the sheet music she gave him, since he was more comfortable playing by ear. As his mother saw no problem with her son’s method, she took him out of lessons and allowed him to enjoy music his own way. After graduating from high school, he worked in local piano bars for two years, moving to Los Angeles when he was 20. Through the widow of legendary concert pianist-actor Oscar Levant, he was introduced to Ira Gershwin, who hired him to catalogue his extensive collection of phonograph records. The assignment led to a six-year musical excavation of Gershwin’s home on Beverly Hills’ Roxbury Drive, preserving the legacy of not just Ira but his composer brother George, who had died four decades earlier, as well. Feinstein’s extended tenure enabled him to get to know next-door neighbor Rosemary Clooney, with whom he formed an intensely close friendship lasting until Clooney’s death. He later would serve as musical consultant for My One and Only, a Broadway musical pastiche of Gershwin tunes. In 1986, he recorded his first CD, Pure Gershwin, a collection of music by George and Ira Gershwin. He followed this in quick succession with Live at the Algonquin (1986); Remember, featuring the music of Irving Berlin; Isn’t It Romantic, a collection of standards which featured the first time Feinstein was backed by an orchestra; and Over There, featuring the music of America and Europe during the First World War. Feinstein then embarked on an ambitious songbook project wherein he would perform the music of a featured composer, accompanied by the composer. These included collaborations with Burton Lane (two volumes), Jule Styne, Jerry Herman, Hugh Martin, Jimmy Webb and Jay Livingston/Ray Evans. He later recorded two additional albums of Gershwin music: Nice Work if You Can Get It and Michael and George. Feinstein recently completed a six-part Warner Home Video series for television that depicts the history of the American popular song up to 1960. S’Wonderful and He Loves and She Loves (both by George Gershwin and Ira Gershwin-1927) – from the musical Funny Face starring brother and sister song and dance partners Fred and Adele Astaire. This performance took place at the New York Marriott Marquis hotel in 1987, on the 50th anniversary of George Gershwin’s death. I Won’t Send Roses (Jerry Herman) from the 1974 musical Mack and Mabel. 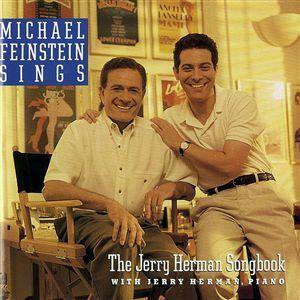 I was a fan before it was fashionable, introduced to “a terrific young artist” by friends who saw him regularly at the Algonquin and gave me their tapes.His name was Michael Feinstein. The rest is history. I became a collector. Saw him twice in PITTSBURGH in recent times. Always a magnificent performance – a real singer with gorgeous phrasing and arrangements. My own CD/tapes are precious. I have introduced his music to some young friends who are now devotees. One young woman was so moved by his last concert in Heinz HAll, she moved her seat to the front row and after the concert, her eyes were full of tears, Talk about conversion! I was particularly moved by the incredible duet with Joe Negri on Someone To Watch Over Me. WOW! Michael Feinstein may love a piano but I LOVE MICHAEL FEINSTEIN.